Personalized buttons are a fun and creative way to showcase your company or non-profit organization and create long term brand visibility. Our printed promotional buttons are a must-have for any organization promoting a specific cause, whether saving the environment or college fraternities and sororities during rush. Promo 2.25 inch round buttons are a great size for just about any event, but if you want to stand out a bit more, we also have 3 inch full color round buttons. This square shaped button comes in a standard size of 2.5” x 3.5”. This shaped button is a versatile communication tool to promote your brand, your idea or even to cheer for your next campaign. Custom buttons are great promotional giveaways at events, conferences, rallies and trade shows. Whatever the occasion, this is an innovative way to grab eyeballs and start a conversation. You can opt for the standard safety pin back or opt for bulldog clips, cloth or fridge magnet at minimal add-on cost. Get your message or your brand imprinted on this mobile yet compact button and successfully broadcast your brand! 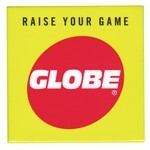 Get this great celluloid round button for your next promotional event. The classy professional style of this 2.1/4” round button created from celluloid is an excellent giveaway to showcase and promote your brand. With up to 4 color imprints free you could add your logo, promotional message or concept design in glorious colors. With convenient safety pin back or a bulldog clip, this celluloid button could be a versatile billboard for all your branding. Pick this attention grabber at once and spread the cheer to all your customers! A lovely heart shape button in 2.25” size is all you need to spread your message of love. Let people proclaim their love for your product or the cause you are promoting through this lovely heart shaped button. We provide up to 4 color imprints and no setup fees to get you started. Get your ideas printed on these custom shape buttons for your next annual conference, a promotional event or tradeshow and promote it to the world! This 2 piece round button reinforced with an extra piece of metal at the back, scores high in terms of quality as well as in its versatility to promote your brand. The 2.1/4” classic round button is ideal to kindle the curiosity of your customer and start a conversation about your project, product or promotional packages. With standard safety pin back and options for bulldog clips or magnets, pin it or attach it with your custom imprint to provide high visibility to and promote your branding in great style! This square shaped button could be your next mobile billboard! Easy to wear or attach with multiple options including pins, latches, and magnets, this 2” square button is the right size for your brand promotions. It is the right choice for any occasion – social, professional or business events. The button immediately kindles the curiosity and attracts customers to your branding. Get it custom printed with up to 4 colors free and promote your branding in classy style. 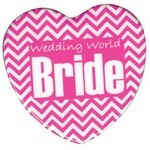 This new triangle shaped 2” button is a great giveaway for any promotional event or tradeshow. Give it a creative twist by adding a bulldog clip or as a cloth or fridge magnet for this triangle button! Eager and curious customers would warm up to the imaginative way to capture their attention and would love to hear more from you. Get this custom shaped button printed with your brand or your message and see your brand come alive on these fancy custom triangle button. 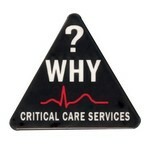 Wear your cause or organization with pride using a 2.25" Full Color Round Button. Pin it to shirts, backpacks, caps, and banners. Unique shaped buttons are a great new canvas to publicize your brand. 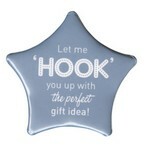 In this category, our 2 3/4” star shaped button is a sure winner. With its striking star shape, your brand gets immediately noticed and creates a lasting impression. The pricing includes up to 4 color printing and free PMS color matching so that you could customize as per your requirements. Get this unique star button and script your next marketing success story! This square shaped button is a unique way to reach your target audience. Be it a business, social or political event, this 2” x 3” square shaped button will promote your brand and message in a professional and stylish way. We offer the classic lock pin option as well as the innovative bulldog clip or cloth/fridge magnets so that it could be easily placed for high visibility. Customize it with your logo, brand identity or a catchy slogan and watch your names zoom into customers’ hearts and minds! Pin it, wear it or latch it on to a fridge or on your car dashboard and get noticed! Yes, this octagon-shaped 2” x 2” button gets people noticing and talking about your product, brand or your promotional message. An excellent idea to get your brand seen. We offer free printing up to 4 colors and no charge for set ups. 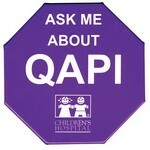 Ask for our octagon shaped button to promote your brand or message today! Celluloid buttons have a charm of its own. With its vintage looks and multi-color options, the 3.5” round celluloid button is a great promotional giveaway. Create a lasting impression with your brand or promotional message through our professional custom printed buttons. 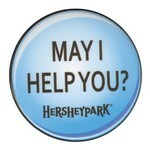 We offer up to 4 color print on a white stock button. So go ahead, get ready to take your message to thousands through these delightful round buttons and create your marketing success story.